By now, most employers are aware that effective January 1, 2019 California has expanded its law requiring sexual harassment training to not just supervisory employees who are employed in organizations with 50 or more employees, but now to all employees working in organizations with 5 or more employees. 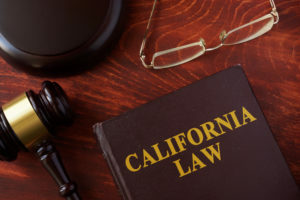 Many employers have been complying with the California managerial requirement since the original AB 1825 was enacted in 2005 by providing bi-annual training for managers and supervisors. Those employers naturally assumed that if they had provided the mandatory training to their supervisors during calendar year 2018 they would be exempt from training until at least calendar year 2020. Not so. Given this official guidance from the DFEH, Syntrio cannot stress enough that your organization must schedule and conduct training for all employees by January 1, 2020. Given the emphasis the DFEH has placed on 2019 as a mandatory training year just weeks into the effective period of the law we can assure you that they will be looking out for those employers who choose to ignore the agency’s guidance and “hide their head in the sand.” We urge you to understand the DFEH’s opinion on this matter and act accordingly. Posted in Sexual Harassment, Uncategorized and tagged employment law, harassment training.